My love affair with Italy began many years ago when I first tasted a Brunello di Montalcino, ordered by my brother Sumant Lamba, at a restaurant in the United States. I don’t remember what vintage it was, nor the name of the producer, but it immediately evoked in me a desire to visit Tuscany, the region in Italy where this wine came from. If a wine could be so sensuous, exciting and luscious, then I could well imagine how beautiful the place must be, as a wine always tells the story of a place. The opportunity to visit Italy came last summer when I won a scholarship for an advanced level Italian language course at the University for Foreigners of Perugia. During my month long stay at this historical Umbrian town, I made several trips to the neighbouring province of Tuscany, the iconic countryside of Chianti, and the land of the grape varietal Sangiovese, the only grape permitted by law in this famous and prestigious wine of Italy and known as Tuscany’s answer to Barolo, the Brunello di Montalcino. There are several famous producers well-known for making this exquisite wine and among them Castello Banfi is a name which stands out when one talks about the renaissance of Brunello and the creation of “Super Tuscan” wines. It is an award winning estate located in Montalcino in Tuscany, owned by the Mariani family, known for bringing an American way of thinking to Montalcino and adapting the old Brunello to modern tastes through three decades of intensive research and “state of the art” wineries. 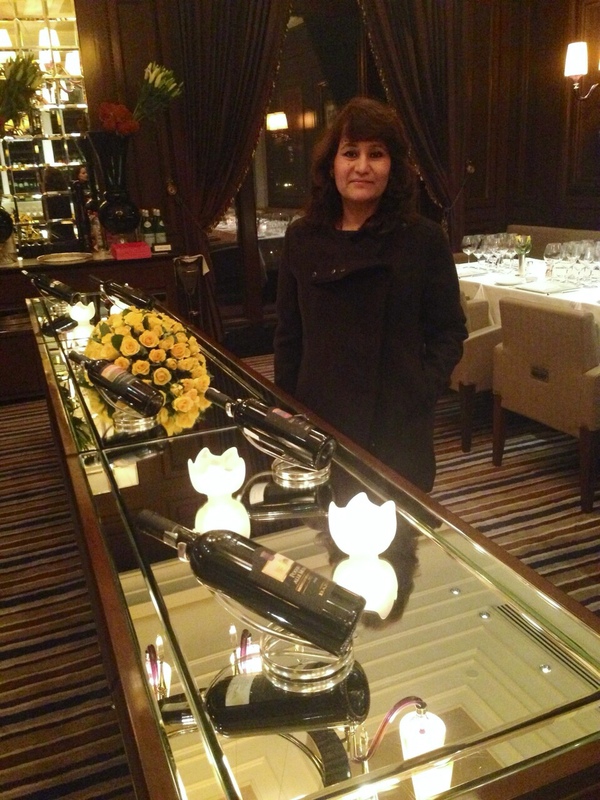 When Paolo Fassina, Area Manager Asia of Banfi wines, invited me to a Castello Banfi Wine Dinner at Le Cirque, Leela Palace, Chanakyapuri, New Delhi, I felt honoured and happily accepted as I was keen to try out their wines which are brought into India by Brindco Sales Limited. Paolo Fassina informed me that Castello Banfi, which was founded in 1978, is the first winery in the world to be recognized for Exceptional Environmental, Social & Ethical Responsibility by ISO Geneva. I was curious to know how they are able to make pure and natural wines. According to Paolo this is because they have an artisanal approach to vinification. Their wines are unfiltered and bottled under nitrogen thereby reducing sulphites & histamines. This helps in nurturing the inherent richness of their grapes and focussing on the character imparted by each single vineyard. Talking of grapes, they have done extensive research on which clones of Sangiovese works best in the area, as there are hundreds of clones of this grape to choose from and Montalcino itself has 29 different types of soils. The results have been registered with the European community and shared with all. Castello Banfi makes very approachable wines which include everything from Chianti, Super Tuscans (a blend of Sangiovese, Cabernet Sauvignon & Merlot) to the highly sought after Brunello Riservas. The first wine that we tried at the dinner was “Le Rime” 2013 IGT, a blend of Pinot Grigio & Chardonnay, a moderate acidity wine with hints of pear and white flowers. This is an easy drinking wine which can be had as an aperitif or paired with antipasti, seafood or a light meal. 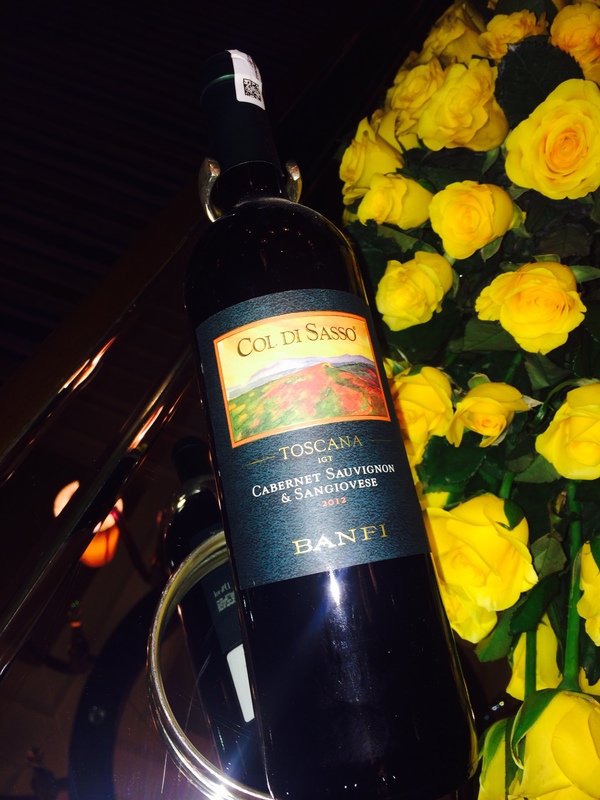 The next was Castello Banfi “Col di Sasso” 2013 IGT. A blend of Cabernet Sauvignon & Sangiovese, this was paired with the most delicious Black Pepper Pappardelle with wild hare ragout & black truffles. Col di Sasso is the Italian for “Stony Hill” as the grapes for this wine are cultivated on the rocky slopes of the southern end of Banfi estate in Montalcino. No oak is used in this and the fermentation is done in stainless steel tanks. A youthful red with a balanced acidity and a lush finish, this wine can be classified as a “Baby Super Tuscan”. 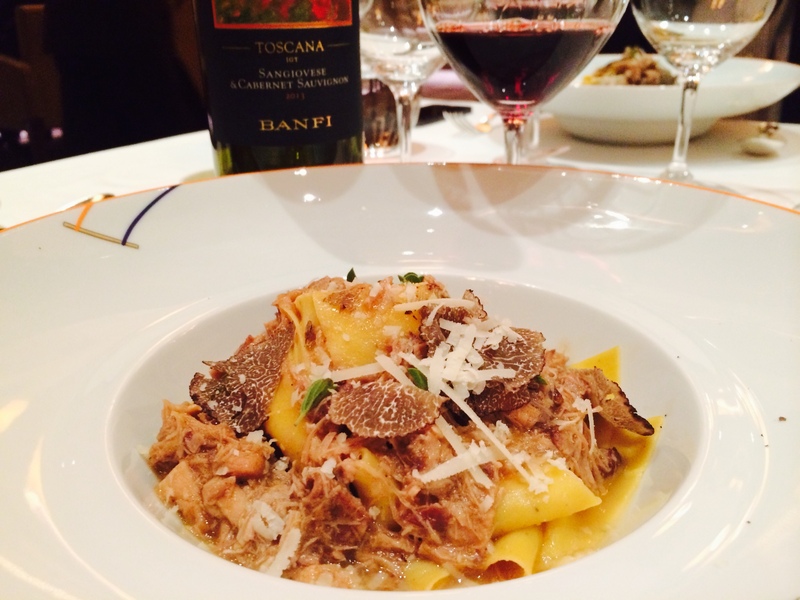 A word about the pasta prepared by the new Italian Chef at Le Cirque, Diego Martinelli. It was easily the best I have eaten outside of Italy. 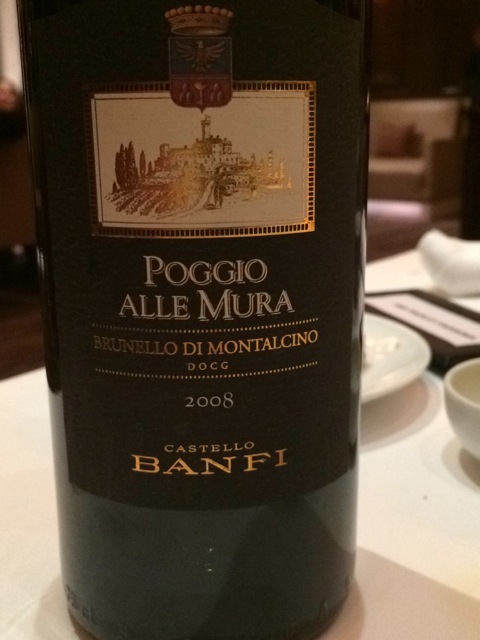 Coming to the next wine of evening, the Castello Banfi Poggio Alle Mura Brunello di Montalcino DOCG 2008, which comes exclusively from the new clones of Sangiovese. 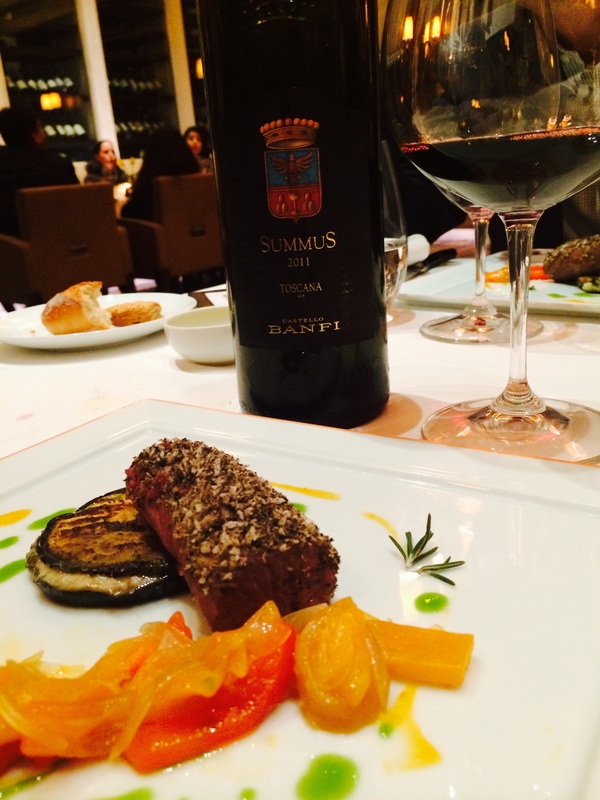 It represents a complex and sophisticated example of Brunello. DOCG is Italy’s highest wine categorization and the Montalcino region was the first in Italy to be awarded with this designation in 1980. The current aging requirements established in 1988 dictate that Brunellos are to be aged for a minimum period of 2 years in oak and 4 months in a bottle (6 months for Riserva) prior to release. It can only be sold 5 years after the year of harvest (6 years for Riserva ) and can be aged for a very long period, even up to 30 years, improving as the years go. The wine that we tasted was medium bodied with a perfumed nose of violets and dried roses, velvety tannins, fresh fruit and a good length. 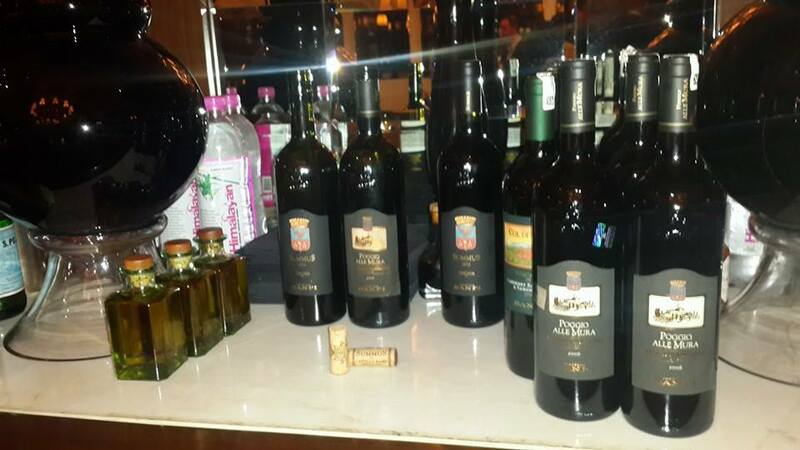 Their flagship Brunello the Poggio All’Oro however is not available in India. The last wine of the evening Castello Banfi “Summus” Sangiovese, Cabernet Sauvignon Syrah 2011 IGT paired with a Slow Cooked Lamb Loin, had sweet fruity aromas of cherries and plums and notes of vanilla and licorice. Well integrated with a good structure it was a powerful, muscular well balanced wine and loved by everyone present. 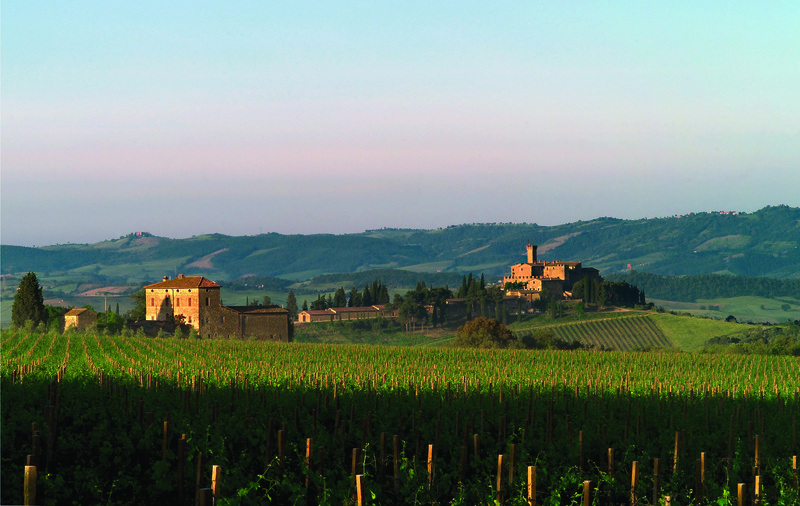 The wines of Castello Banfi are sometimes criticized for being wines made to please the American masses, but that is not true. Made in the true tradition of Montalcino they are very expressive of the history and typicality of the land. Due to their clout and vast distribution network, Castello Banfi wines are exported to more than 85 countries, including India. One wishes them success in “The Pursuit of Excellence” and hopes that they keep up their unremitting focus on producing quality wines. Castello Banfi wines are available at most leading hotels of India and in certain retail shops like House of Spirits now owned by Brindco Sales Ltd at the Select City Walk, Saket, New Delhi and in Bangalore and Mumbai. The price range is from Rs 1400 to Rs 19000.